Designed for effortless mobility and security to and from the gym, school, office or for travel. Feather light weight rip-stop denier nylon shell with double-drawstring quick closure cords that doubles as back pack straps. 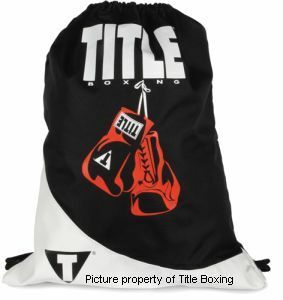 Can also be utilized for toting shoes, gloves or sweaty workout apparel in your gym bag to protect other items. Awesome two-tone design with full color front screens.